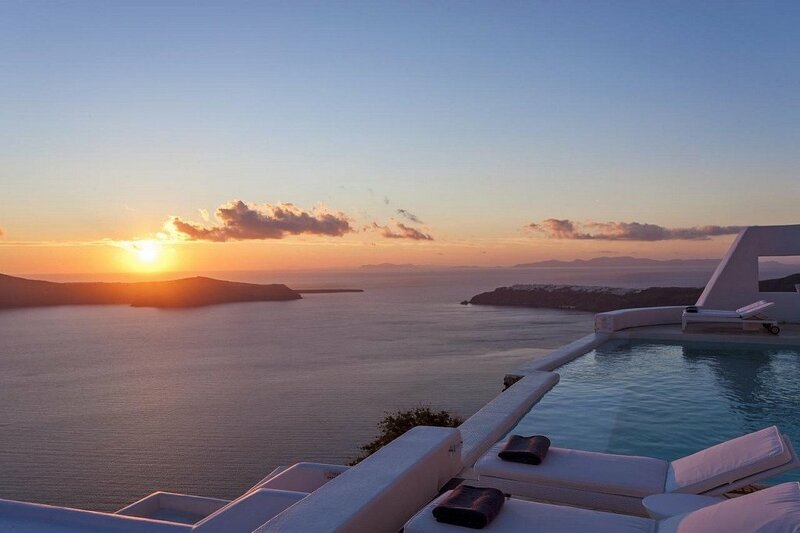 Santorini is one of the most beautiful places on earth and believes us, we don’t exaggerate! The landscapes, the volcano, the deep blue and the picturesque villages make this island so unique and special! Finding accommodation on this island can be tricky especially during summer when thousands of travelers visit it! 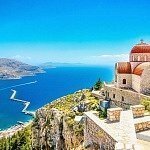 To make your life easier, we gathered the 21 best hotels in Santorini with photos, details and complete map! 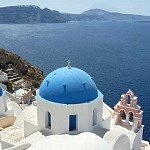 Note that in Santorini, you can find there some of the best and most expensive hotels and also you have to book several months ( around 6 to 8) in advance!! Best ferrt booking platform: Let’s ferry. Very reliable booking machine. It is ideal for island hopping! 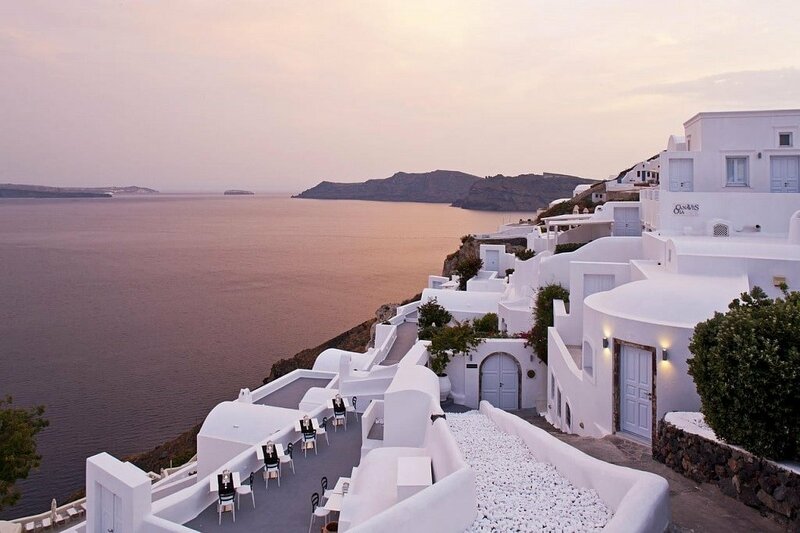 Don’t forget to check our detailed post about the best things to do in Santorini! 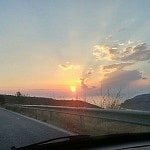 Before going to the complete 2018 list with the best hotels in Santorini, I will like to say a few quick things about accomodation in Santorini. 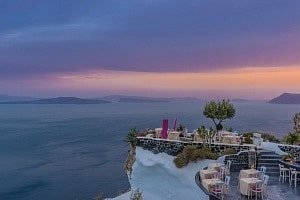 To my opinion the best places to stay in Santorini are in Oia, Fira, Imerovigli, and Firostefani, as they have beautiful views of the volcano and caldera. Staying in Santorini can be quite expesive, so you need to decide if you want to stay close to caldera or not. Just for your information, the so called “caldera” towns are more expensive, with great charm and luxurious hotel. On the other hand the villages close to the beaches are less expensive and probably quiter!To my opinion, the caldera towns have this special feeling that makes the island unique. But again, everything depends on your preference!! We like almost everything about this hotel! From the great services and the friendly and professional staff to the amazing facilities. You will love the heated outdoor infinity pool and of course the view from the hotel! Sunset over Skaros Rock! What is better than that? Check the prices here! 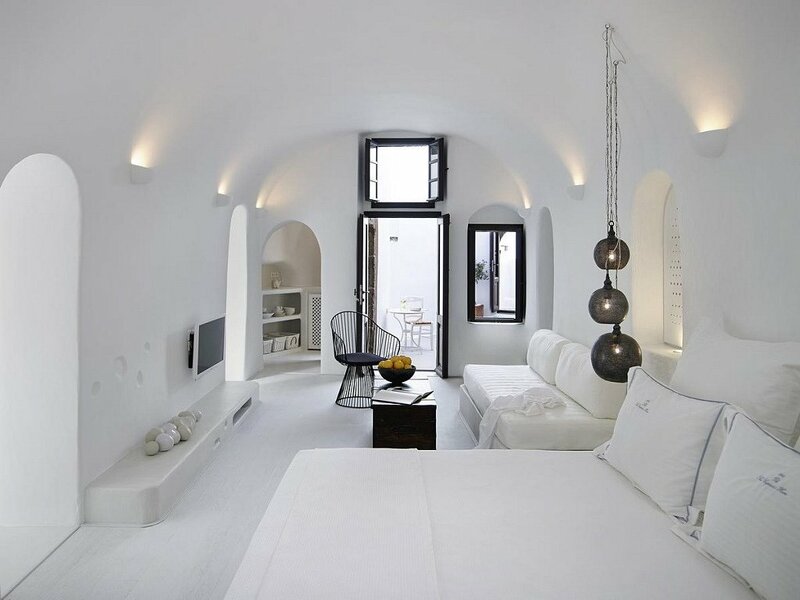 The historic 1864 The Sea Captain’s House has amazing rooms, which are a blend of characteristic elements of Cycladic cave houses and of 19th-century mansions. It’s located in the scenic Oia village, in Santorini and it is very close to Ammoudi Beach and offers breathtaking views of the Aegean Sea, volcano and the world-famous caldera! Check the prices here! 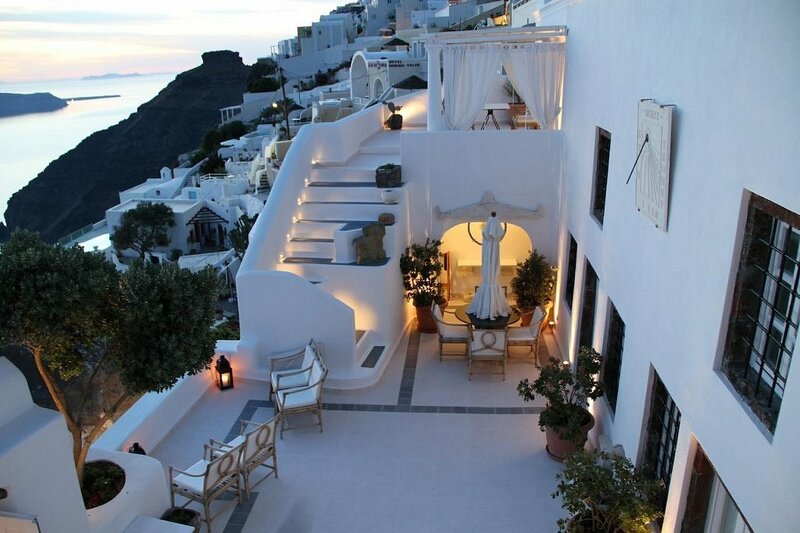 We think that Katikies is probably the most amazing hotel in Oia. If you are on a honeymoon or you want to treat yourself to something special then this is your hotel. 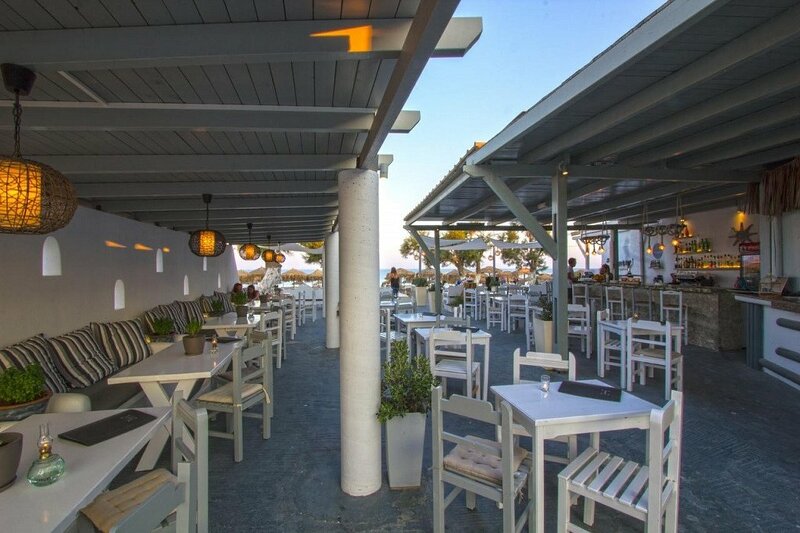 From the spectacular swimming pools to one of the finest restaurants in Santorini, Katikies offers a unique experience! Check the prices here! Kirini is located just outside of Oia which is great as it’s quieter and you can walk to the village easily is less than ten minutes. It is the type of hotel that you can spend all day at it, due to the amazing and the top restaurant. Check the prices here! 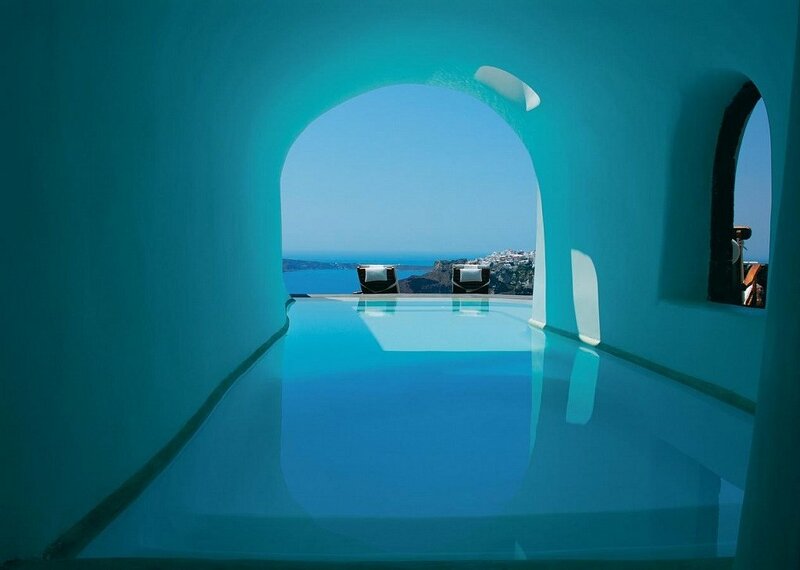 Another hotel in Oia and as you have already realized, Oia has some of the best hotels in Santorini! This traditional cave design hotel creates a tranquil and relaxing ambience. Some of the highlights are the breathtaking infinity pool, the great views and the suites that have their own private pool! Check the prices! This is an ideal hotel for honeymoon. A quite pricey, but when you will drink your cocktail next to the swimming pool watching the sunset you will realize that it is totally worth it! Check the prices here! 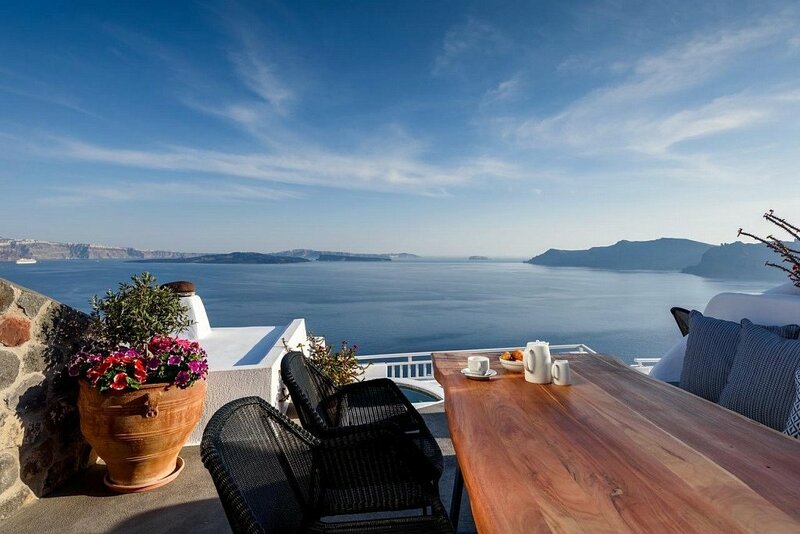 Aria Suites offers amazing suites overlooking the caldera. You will totally enjoy the fantastic breakfast served on the terrace overlooking the pool and caldera! Check the prices! 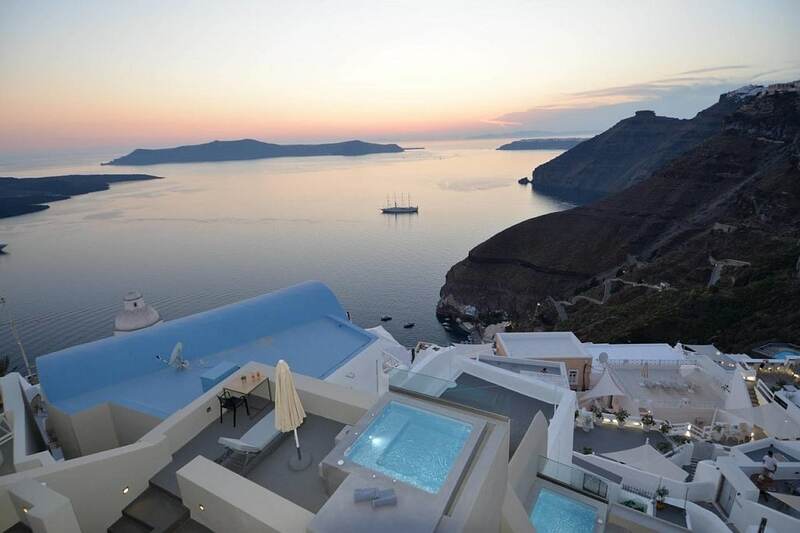 This is a simpler and much more affordable option compared to other hotels in Santorini, especially in Oia. Note here that it is located in Kamari which means that it isn’t near to Oia and it would be better if you have a car. But, it is only five minutes away from the beach which is always a plus. Check the prices! Let’s start with the location, which is excellent! The hotel is opposite the volcano and the islets, so we can enjoy the sunset quietly from the hotel. It is not in the centre of Oia but close enough to just walk! Check the prices! A simply fantastic hotel with amazing views from the infinity pool and the breakfast area overlooks the caldera!! It is not so close to the town, so it would be better if you have a car. Check the prices! Another astonishing place where the photos don’t lie about these villas. 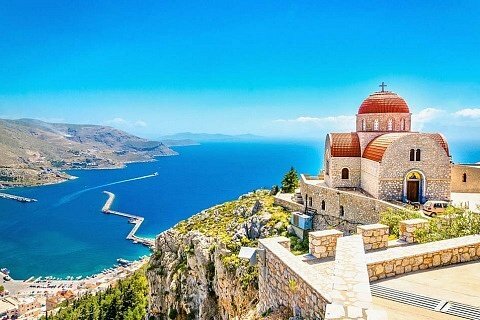 Of course, the views are breathtaking and there is an extra plus, its host Kostas, who will be there for you! Just bear in mind that the access path to the villas is quite steep. Check the prices! This is located on the quiet side of the island (you will need to rent a car) and a 1-minute walk from the beach! It might be less spectacular than the other hotels on the list but it an excellent choice if you prefer something more quiet and affordable. Check the prices! 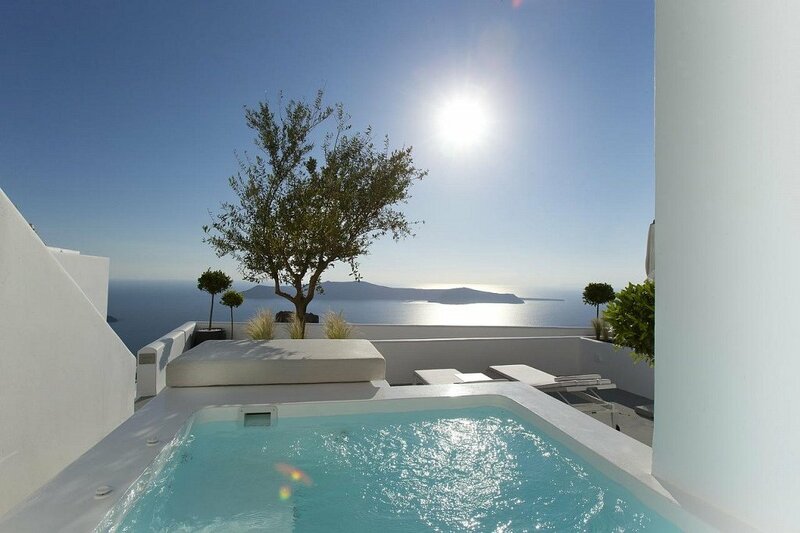 In my opinion, probably this the best hotel in Santorini and this, of course, comes with a price! 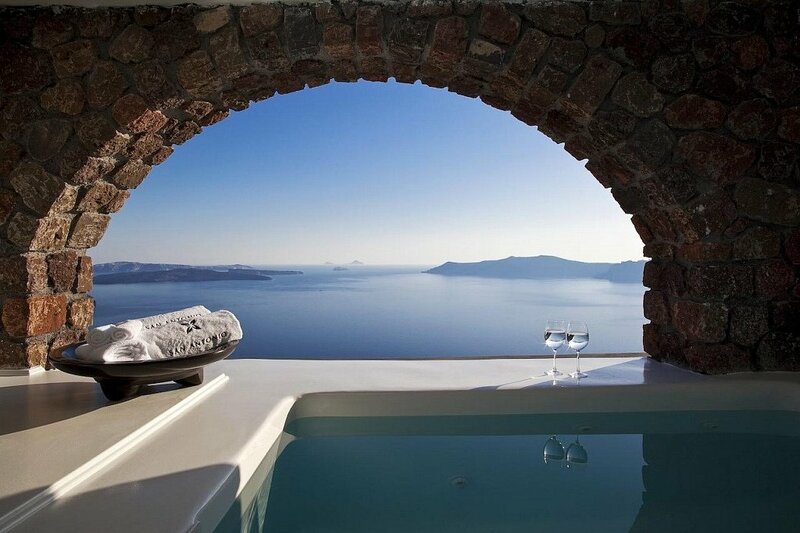 Amazing hotels and rooms and of course we cannot say more about the view. Really astonishing! Check the prices! An incredible and exclusive all-suite hotel which is ideal for a honeymoon. 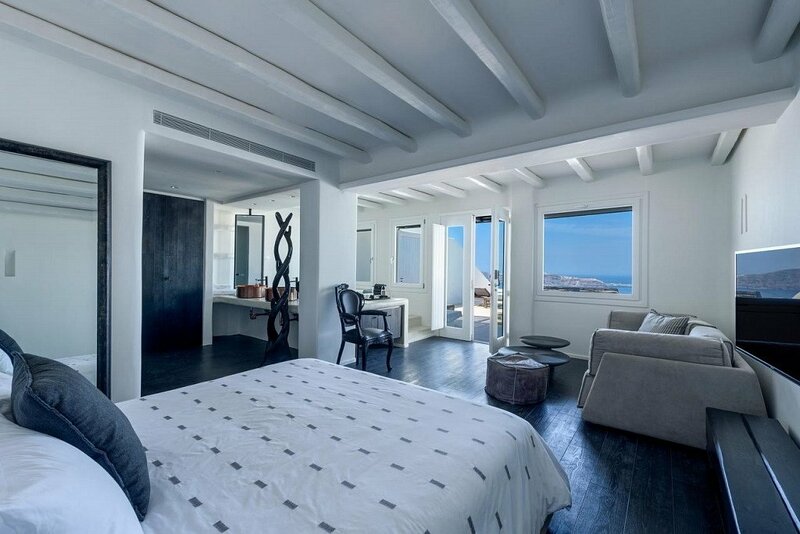 The views, the large rooms and the private pool will make your stay unforgettable. Just note that this hotel is on an expensive side. Check the prices! As you might have noticed so far, accommodation in Oia is amazing and spectacular but quite (or in some cases very) expensive. 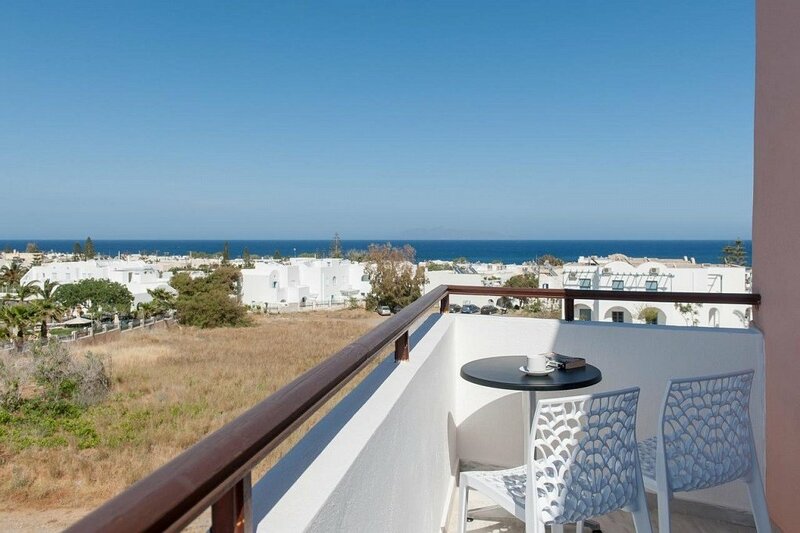 Strogili apartments are a little bit more affordable and nice place, with stunning views and a very nice pool! Note that it has a lot of stairs. Check the prices! 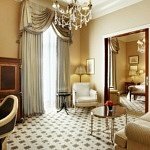 As the name suggests this is another luxurious hotel! Really Great views, good location and of course topYou will definitely love the infinity pool and dinner at Lycabettus restaurant! Check the prices! Our last choice is Canaves Suites, which is also ideal for a honeymoon as some of the suites have a private pool with astonishing views. An extra plus is an excellent restaurant! Check the prices! Find all the locations of the above hotels in the below map. 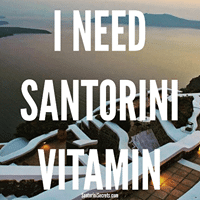 As you probably already have noticed, Santorini is a very expensive island! One way to find something cheaper is to select a hotel or apartment without a caldera view. I know this is not ideal, but it is a good way to keep the costs down. Let’s see now, some hotels which might not be the cheapest but they are quite affordable and value for money! This is a nice hotel and about a 15-minute walk to the main tourist area. It is clean and quiet and has rooms with great size. The pool area is totally relaxed with a nice breakfast! This is a very clean, nice hotel with a great pool! Also here you will need to have your own transport as it is a little remote. I like this family run hotel as it offers a fantastic service and the beach is 2 minutes away! Rooms are big and clean and also there is a swimming pool! 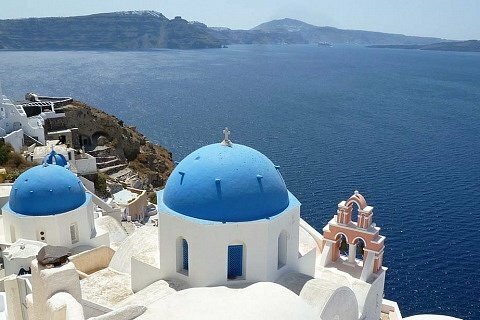 If you are visiting Santorini and you would like to visit some islands close to Santorini, then you can check our post. 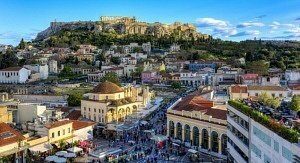 Newer15 Best Hotels in Athens for 2019! OlderParos island! A complete guide for 2019!